Just imagine your business name being in front of customers as they peruse your products in the retail environment! 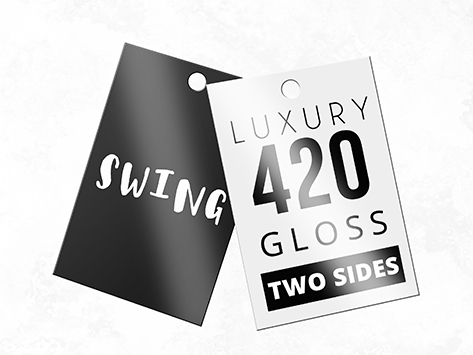 Premium Swing tags on your premium products add class and put your message all over your product, at incredibly affordable prices. Stick your full-colour logo and brand on the front with a gorgeous glossy finish and the important sizing, colour, and pricing information in your choice of full colour or black on the reverse. Please note that holes are pre-drilled, although we do not supply ties.